Each year as we ring in the New Year, we are reminded that it is time for Bayou Teche landowners to get ready for wood duck nesting season! Wood ducks start congregating in late winter along our bayous hoping to find good nesting sites, and some start the nesting process as early as late January. The limiting factor in their reproductive success is the amount of suitable nesting cavities. As our bayou habitat becomes more developed, the availability of nest sites decreases. That is why it is important to provide artificial nest cavities that are safe havens for wood duck production. To assist in that effort, the TECHE Project conducts an Annual Wood Duck Nest Box Workshop in early January each year at varying locations along the Teche. 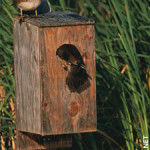 We discuss nesting habitat via wood duck boxes and helping to improve the wildlife values of the Bayou Teche Watershed. We provide plans to build your own nest box or you can buy one at the worksh op. Rearing wood ducks can be a rewarding family project that will bring many hours of enjoyment as you watch the birds care for their young. 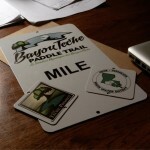 The TECHE Project is integrating our wood duck nest box program with a new initiative, Mile Markers. If you live on Bayou Teche and would like to be a cooperator in our wood duck box/Mile-Marker Initiative, all you need to do is maintain a wood duck box with predator guard along the bank line, and then let us know that you are interested in the Program. We will come out and GPS your location and then supply you with a mile-marker sign to place on your box. 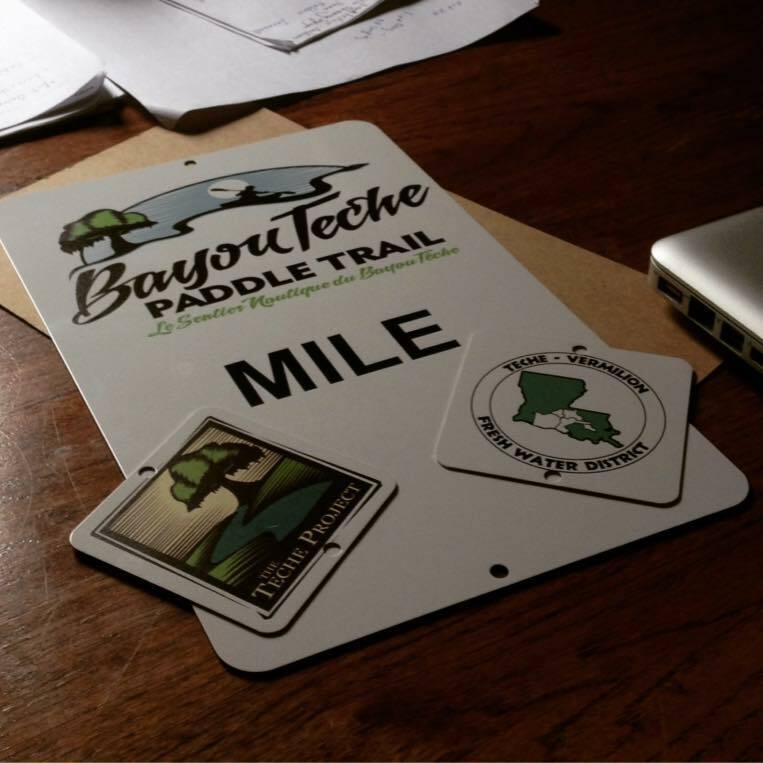 As paddlers come down the Bayou Teche Paddle Trail, they will know where they are located by the mile markers, and you will know that you are doing something to promote the paddle trail and to promote wood duck nesting success. Two cool things wrap up in one nest box! 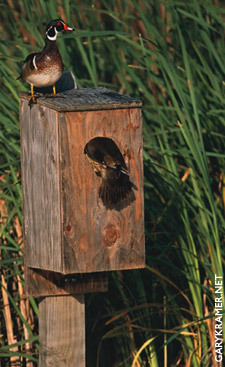 You can get information on the construction and maintenance of wood duck boxes through the Louisiana Department of Wildlife and Fisheries at the following link: http://www.wlf.louisiana.gov .